It’s amazing how even the smallest details associated with a home renovation project are crucial to achieving the overall desired look! 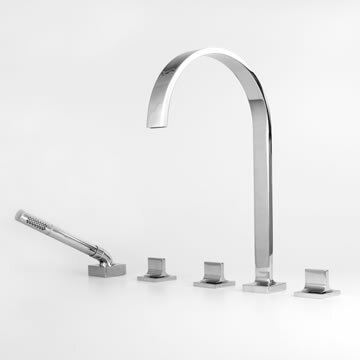 That’s why installing quality plumbing fixtures in your kitchen or bathroom is crucial to meet not only your functional requirements, but also your expectations when it comes to achieving your design aesthetic. So with three different types of bath fillers alone —wall mounted, deck mounted, and free standing — it’s worth asking experts like Designer Bath and Salem Plumbing Supply for advice before making purchases. 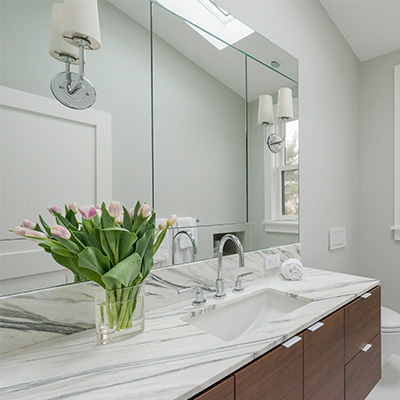 Inspired by the Best of Boston Home winners’ 45,000 square foot showroom filled with amazing bathrooms and kitchens, we uncovered these key tips to guide any bath tub update! 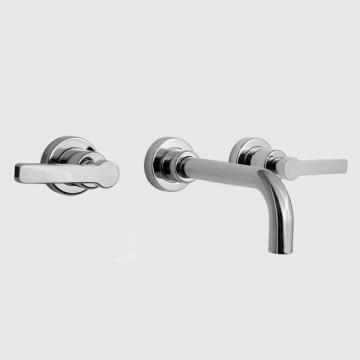 Pictured above: Sigma Carina wall mounted bath filler from Designer Bath. Tip #1: Know how fast you want your tub filled. You should understand how much water is needed to fill your tub based on its size before shopping for your bath filler. Bath fillers vary in terms of the number of gallons per minute they take to draw a full bath. Make sure you have the dimensions handy when you visit a showroom so that the professionals can point you to the option that will make the most sense — and don’t leave you waiting too long for a relaxing bath. Pictured above: Sigma Nuance Series deck mounted bath filler from Designer Bath. Tip #2: Choose the right spout length. Another type of bath filler is the deck mounted option. These fillers mount on flat surface areas, either on the deck of the tub or on a box that’s been built separately. Whether you choose this filler or the others, spout length is an important factor because it will dictate where water will fall in your tub. 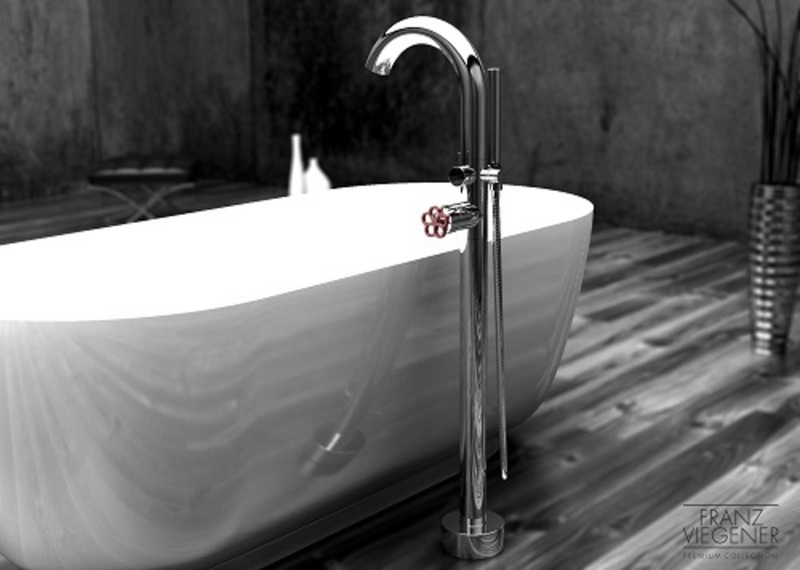 With proper planning, the spout will be positioned near the drain and out of your way when you are in the tub. Pictured above: Franz Viegener Industrial Chic free standing mounted bath filler from Designer Bath. Tip #3: Remember, placement is key. If you’re a frequent bather who really loves to relax in a bubble bath after a long day, you’re a great candidate for a freestanding tub filler. Rather than being adjoined directly to the bath or wall like our previous examples, free standing fillers are fastened to the floor, and may be located anywhere along the perimeter of the tub. While free standing bath fillers from manufacturers like Franz Viegener are costlier (they’re made with more exposed metal for aesthetic appeal since they’re entirely within view), they can be placed in whichever location makes sense given the ideal angle and desired reach. Find out which bath filler is the right option for your tub! Visit Designer Bath’s showroom at 97 River Street in Beverly. 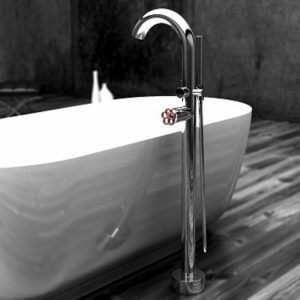 You can request an appointment online at www.designerbath.com or by calling 800-649-BATH.